Avalanche at Yeti Mountain társasjáték - Magyarország társasjáték keresője! A társasjáték érték! 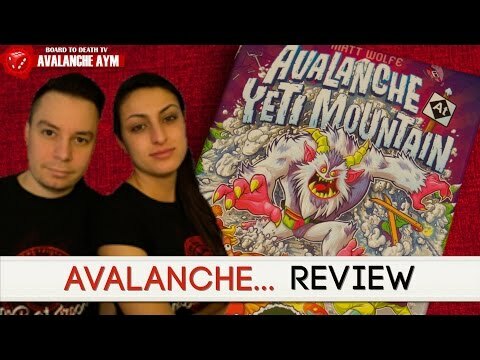 Az Avalanche at Yeti Mountain egy kiváló társasjáték, 1 - 5 játékos részére, az átlagos játékidő rövid, csak 15 - 30 perc. A társast, 8 éves kortól ajánljuk kipróbálni. A játékmenet erősen épít az egyidejű akciók, a pakli tervezés és a játékos kiiktatás mechanizmusokra. 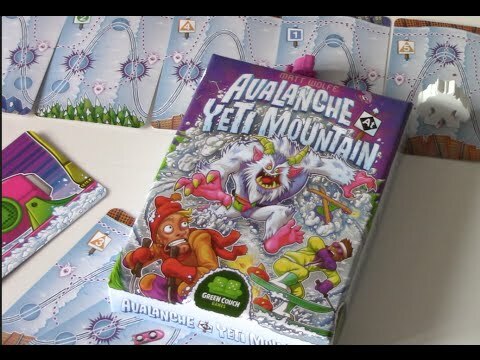 In Avalanche at Yeti Mountain, players play multipurpose cards — the same cards used to make up the ski slopes of Yeti Mountain — to determine their speed in a race down the mountain. 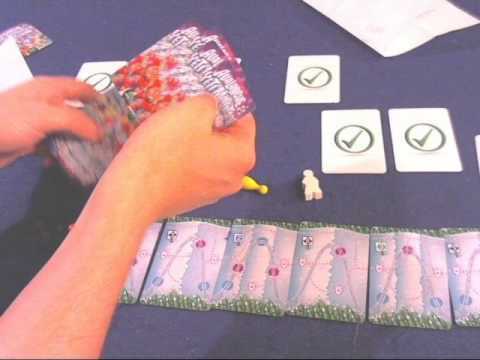 If the skiers collectively exceed the speed limit, which is determined by the number of players, the fastest skiers crash, only moving one space forward down the mountain. 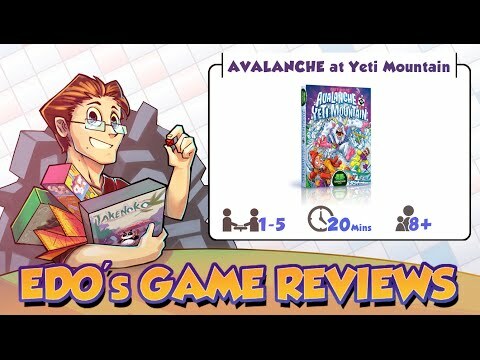 Players may also activate rocket jumps to overshoot the competition, but at the expense of causing an avalanche to begin chasing them down the mountain. 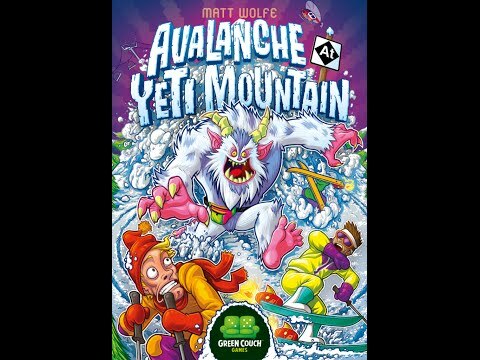 If that's not enough tension, rocket jumps are possible only if the Yeti, awoken from his slumber by all of the rocket-powered racket, doesn't attack and deactivate players' rocket-powered skis! 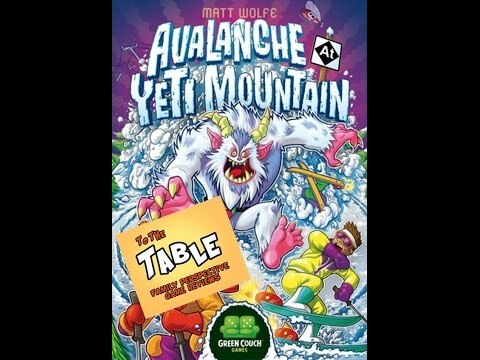 The last skier standing, or the skier who makes it to the bottom of Yeti Mountain, wins the game. 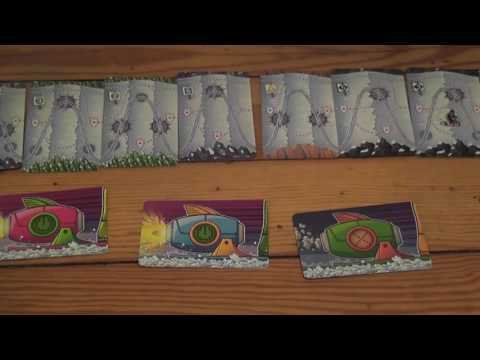 A set of 15 invention cards players can use once during the game to perform an ability.